These tiny devices can improve your communication, your relationships, and even your brain function, but only if you use them. 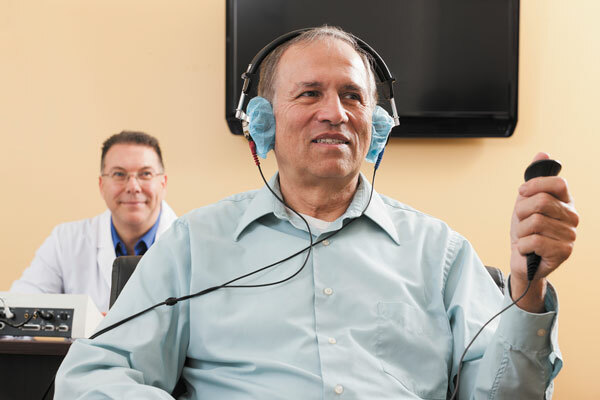 Age-related hearing loss affects about a quarter of people ages 65 to 74 and half of those ages 75 and older, according to the National Institute on Deafness and Other Communication Disorders. Over all, though, it tends to be more male-oriented. "By middle age, many men also have hearing nerve damage from long exposure to noises like power tools, music, and guns," says Dr. Steven Rauch, an otologist with Harvard-affiliated Massachusetts Eye and Ear. Some career choices—like construction, manufacturing, or military service—also contribute.